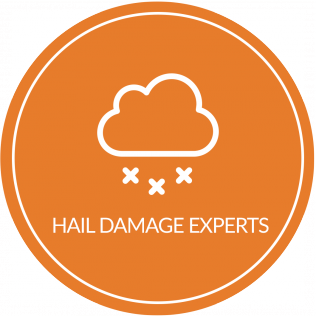 Whether your vehicle has been affected by a local hailstorm, door ding, or an even larger dent, we are the LOCAL PDR experts. We are very excited to be your local paintless dent/hail damage repair provider, and look forward to building a business relationship with YOU!! Matt was awesome throughout the entire process and very quick! Took care of the dents after the huge hail storm we had in Highlands Ranch, even came down and picked up the car and dropped it off after he finished with the project and it was quite a project. Highly recommend him to anyone with any kind of dent damage! Thanks Matt! Matt (the owner) is very friendly and accommodating. My car came back looking like new! Great customer service and great attention to detail. Driving down 287, I noticed some DentVision signs and decided to make a call. My daughter's Ford Escape got clobbered in a big summer hail storm and we have been trying to find someone with good references to do the repair work. To make a long story short, my experience with Matt at DentVision in Loveland was outstanding and I highly recommend him. He is friendly and experienced. He did the work in a timely manner and the cost was exactly what he had quoted. Great customer service. I was very nervous about having hail damaged repaired on a new car. Matt made this really easy. A few replacement parts came in damaged and Matt stayed in communication the whole time. Thank you again Matt! Matt was great, service oriented, really took care of things, even lining up the rental car through insurance. Work turned out wonderful! Car looks new again! Thanks DentVision. Will recommend their services to all. Usually do not write reviews but in this case the service and workmanship was exceptional! Working with Matt to get my vehicle repaired from hail damage was very painless and he took care of all of the details with my insurance company and etc. Basically I placed a call to Matt at Dent Vision, showed up at his business and a day later my vehicle looks like new again. He took care of all of the details. Very honest and straight forward! NO SURPRISES or hidden fees. The quality of work is beyond my expectations as I have had other “shops” remove previous hail dents and I will never go back to another shop. If your vehicle has any dent(s) at all and are looking to get it fixed, GO SEE MATT at DENT VISION!! You will thank me later!! I recently got a door ding on my Grand Cherokee after a bad wind storm and was really nervous about getting it fixed because the dent was on a ridge on my door panel. Took it over to have Matt look at it after reading other reviews. He gave me a quick estimate, a great price and did a great job. Really great guy to talk to and really took his time, and it shows. Had my brother come over and look and was so impressed he is going to take his car there as well. Can’t explain how impressed I am by the great work. Will recommend to anyone who has dents. 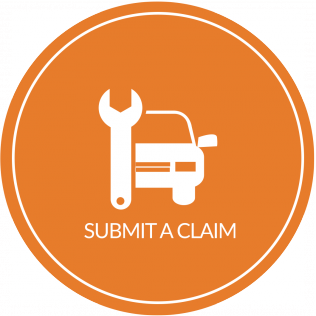 Your car might leave our shop, but our 100% guarantee is here to stay. 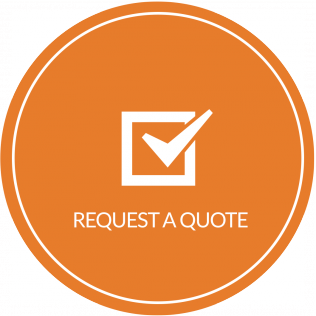 If you're not satisfied with our work, we'll take care of it free of charge. 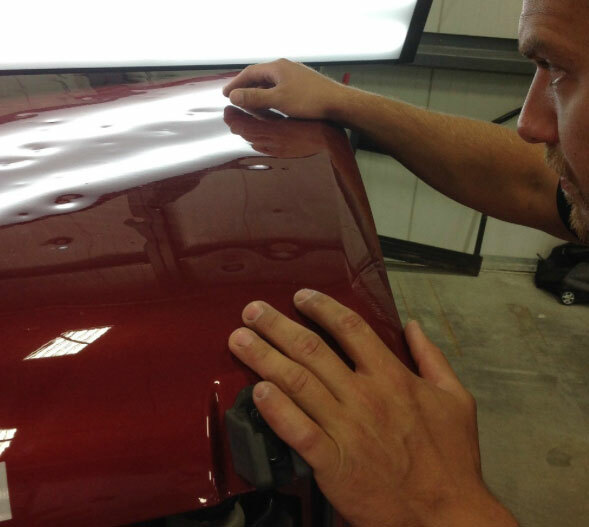 This applies to all of our paintless dent removal and automotive dent repair services.